A K9 who works for the Livingston County Sheriff's Office has received his body armor. Hutch now has a bullet and stab-proof vest. 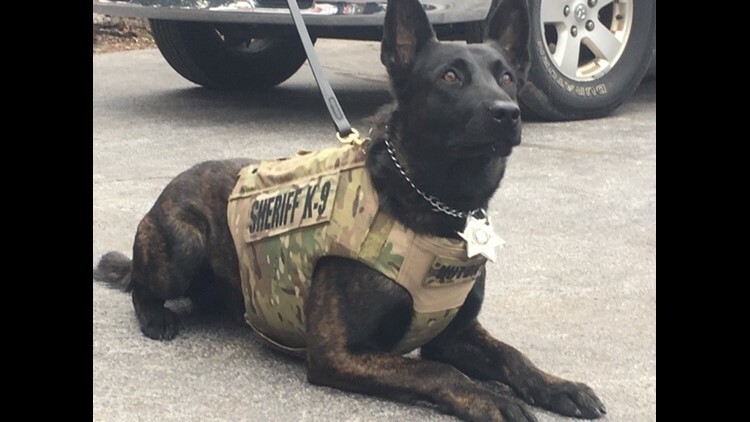 New gear follows $1,000 donation to the nonprofit group Livingston County Sheriff's Foundation, Inc.
GENESEO, N.Y. — A K9 with the Livingston County Sheriff's Office has received his body armor. Hutch now has a bullet and stab-proof vest. The new gear follows a $1,000 donation from Johncox Trucking in Avon to the Livingston County Sheriff's Foundation, Inc., a nonprofit organization that aims to help meet the sheriff's departments needs beyond taxpayer funding.